Even though golf enthusiasts insist that golf is a relaxing game, they also say how frustrating it is to chase stray golf balls around the course. Some golfers have to reduce their playing time or quit all together because of back and neck problems that make bending over too painful. You may be one of these people. Extendable golf ball retrievers were invented to do the work for you. They fold up for convenience and are suitable for the novice or the experienced golfer. The smaller ones extend up to six feet while the larger ones can reach at least 15 feet. The size that you buy just depends on your needs. 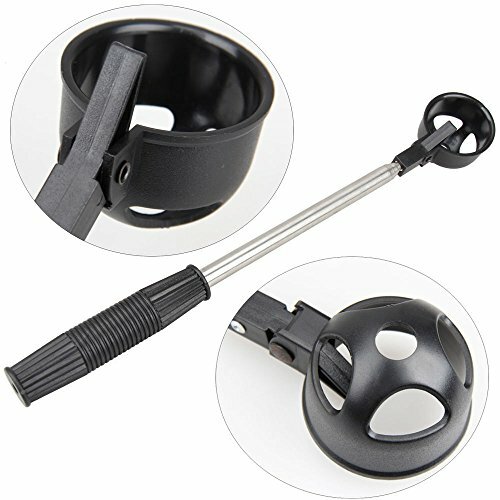 Once you buy a golf ball retriever, you will wonder how you ever played golf without one. It is especially irritating when the ball gets stuck in a water hole or sand trap. It is also difficult to see golf balls that are in the water. You can waste a lot of time trying to chase the golf balls by hand. Not every person has the luxury of hiring a personal caddy to chase their runaway golf balls. This golf ball retriever made by the Orange Company is light-weight and would fit in your golf bag with your clubs. 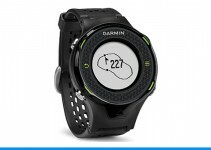 You will find out how useful it can be on both the golf course and a driving range. 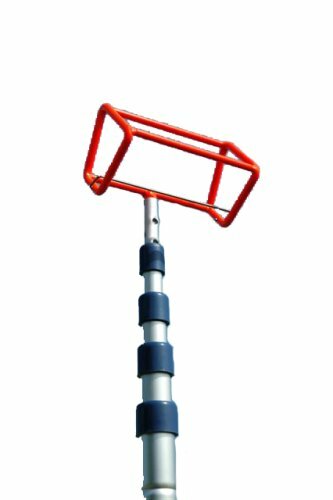 It is made of anodized steel and has a telescopic shaft that will reach up to 15 feet. No matter where you use it, it will stay virtually rust free. The handle and round scoop are solid rubber and it features a locking mechanism for easy use. No more of the accidental retraction or bending like some inferior golf ball retrievers do. The circular scoop easily retrieves golf balls out of water and sand. To use it, simply extend the retriever and catch the ball in the hoop. Then, you just pull it back to you. You do not have to worry about your golfing partners waiting around anymore while you retrieve a golf ball by hand. A lot of golfers like the convenience of a retriever that can also scoop the golf balls off the ground. You will save time and have less wear and strain on your back and neck. This Signsteck model has a telescopic shaft that is made of durable stainless steel; yet, it is light enough for just about anyone to use. The rubber handle has a comfortable grip and the shaft can reach nearly 7 feet (2m). The scoop’s automatic locking device prevents the golf ball from dropping. It will fold back up and bring the ball right back. You can spend more time playing golf and less time trying pick up golf balls. One of the unique features of the Callaway Ball Retriever is that is has a dual-zip head cover that makes it look like a club in your golf bag. The cover is constructed of heavy canvas and protects the retriever until you are ready to use it. 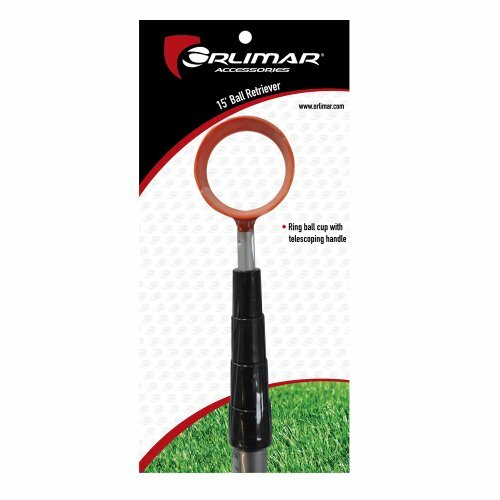 This ball retriever made of a light-weight aluminum alloy and can extend up to 15 feet. Even though it is aluminum, it will not bend when you have it extended. The handle is ergonomic and the retriever can easily pick up your missing golf ball. 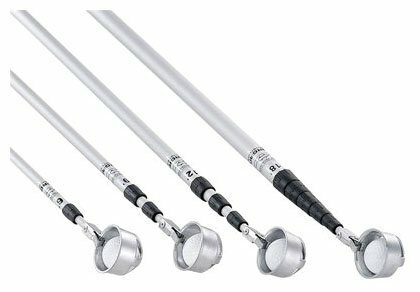 Since everyone is different, the I Gotcha Golf Ball Retriever comes in five different sizes. It is ideal for shorter people or for children who are taking golf lessons. The featured size is the XL Executive, which will extend up to 14 ft. It has a telescoping shaft and it just folds up neatly in the pocket of your golf bag. It only weighs 12 oz and is a huge help on the golf course. When your friends see how quickly you can retrieve stray golf balls, they will want one of these gadgets, too. Are you tired of slowing down your golf game by chasing stray golf balls? You can retrieve them quickly on just about any type of terrain with the Orlimar 15’ Fluorescent Head Retriever. 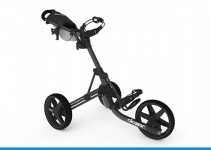 It is light-weight and will fit beside of your clubs in your golf bag. It has strong construction and helps you trap your golf ball with ease. The fluorescent head color lets you see the retriever well in high grass or water. This is especially handy if you are dealing with white golf balls that are difficult to see. If you are just practising your putting skills or short range shots, you do not have to have a telescoping golf ball retriever. The Original Shag Practice Range Shagger is made like a metal cane with a storage bag. The handle is curved to comfortably fit your hand. 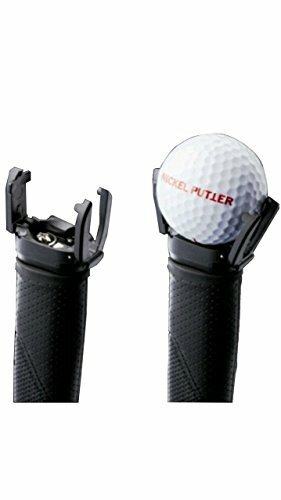 The grip at the end picks easily picks up the golf balls and you can put them in the handy storage bag on the top. If you are using your own golf balls on the driving range, this tool will be invaluable. You can get this durable item in your choice of blue, red, green, or black. Golfing often turns into swimming and fishing when you lose golf balls in water features on the course. Most golfers do not wear rubber waders during on the golf course. Instead of spending time wading in water and mud to find them, you can use your Search and Rescue Retriever. It can extend up to 24 feet long and can scoop up two golf balls at a time. The retriever’s orange color makes it easier to see while you are scooping in the water. Since the shaft is telescopic, you can adjust it to deep or shallow water. It will lock in place while you are using it and then folds up to a convenient size. You will stay clean and dry during your whole golf game. 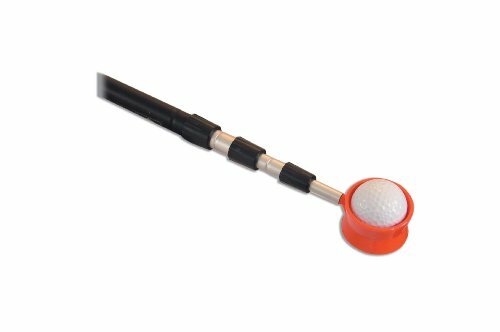 This special golf ball retriever is perfect for golfers who suffer from back pain, arthritis, or dizziness. If you have these problems, you know how difficult it can be just to tee up the ball. Wouldn’t it be awesome to have a tool that would prevent all the bending? This model not only helps you put the ball on the tee, but it will also extend to retrieve stray golf balls. It has 8 inter-changeable pieces that will save you time and back aches. When you come home from the golf course, you will not have the back pain you used to have from frequently bending. Golf can be a fun past time for you again! Forgan of St. Andrews is a trusted name in golf equipment. You can purchase one of their quality golf ball retrievers in four different sizes: 6 foot, 9 foot, 12 foot, or 18 foot. Some people choose to buy a couple different sizes. 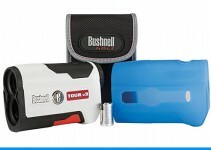 They have a durable, light-weight construction that makes it easy for you to carry along in your golf bag. If you get a golf ball stuck in the weeds or underwater, it is not a problem. Unlike cheaper models, you will not have the aggravation of dropping the ball while you retrieve it. The quality construction of these golf ball retrievers make them extend and extract with ease. The Forgan of St. Andrews retriever will grab it securely while you bring it back to you. 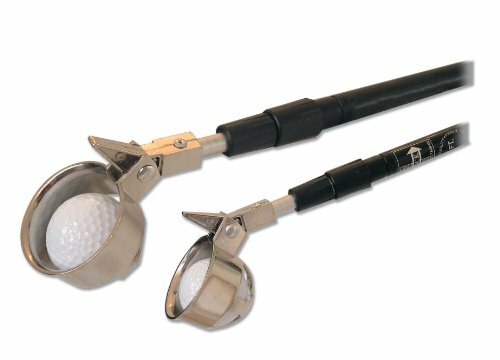 JP Lann manufactures their golf ball retriever with a special hinged cup that effortlessly grips the golf balls and returns them to you. The cup covers over the golf ball and easily brings it back to you. It has a comfortable rubber handle and the shaft is made of anodized metal, thus preventing rust. You can use it in sand, water, mud, or any other rough terrain. When you are done, just fold it up and stick it in your golf bag. Most quality golf ball retrievers can be had at decent prices. They can make your game easier and you won’t be replacing expensive golf balls anymore. If you do make a stray golf ball, these tools will save you time and effort.